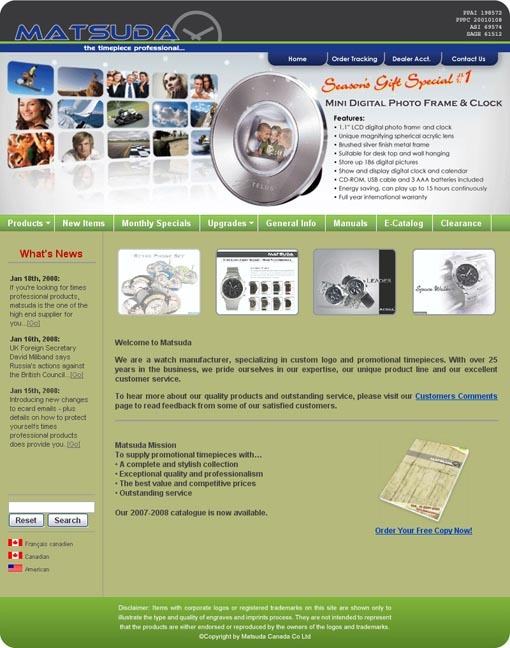 This company website to showcase their products information, monthly specials, client log-in and clients' account balance. My role for this project was to revamp the look, feel and workflow. I created HTML templates and pass it to the programmer for back-end logic integration.